American Board Certified Psychiatrist Dr. Shivkumar Pandian is the founder and owner of Pandian Medical Corporation (DBA) Adroita. 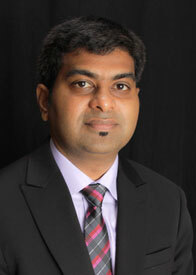 He graduated from Raja Muthiah Medical College in India and completed his Psychiatry training program in Brooklyn, New York where he was the Chief Resident of Psychiatry. Then he pursued further training in Addiction Psychiatry at the Mayo Clinic in Rochester, Minnesota. Dr. Pandian is a diplomate of the American Board of Psychiatry and Neurology in the specialty of Psychiatry and Addiction Psychiatry. He is also certified by the American Society of Clinical Psychopharmacology as an Advanced Clinical Psychopharmacologist. Apart from Adult Psychiatry and Addiction Psychiatry, Dr. Pandian is well versed in Pharmacogenomics and Psychopharmacology. Dr. Pandian created Adroita as a welcoming place where effective treatment and exceptional care for patients are the primary focus. As both an innovator and a Psychiatrist Dr. Shivkumar Pandian combines his skills to create patient education tools and innovative technology systems to streamline the treatment process so more time is spent with patients.